Proper preparation is crucial when it comes to the important game. It’s much easier to win when every piece of the puzzle plays its part and helps just when it’s most necessary. That's why a well set gear is as important as elements of skills and strategies. 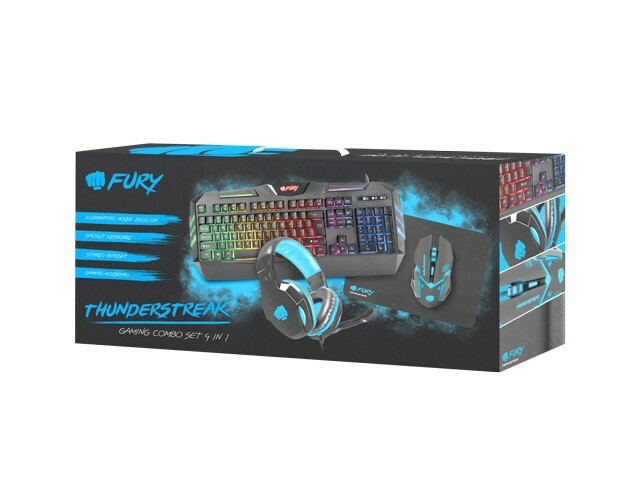 For Gamers looking to get into the game properly, we created 4 in 1 - Fury Thunderstreak, consisting of a keyboard, headset and mouse with a pad. 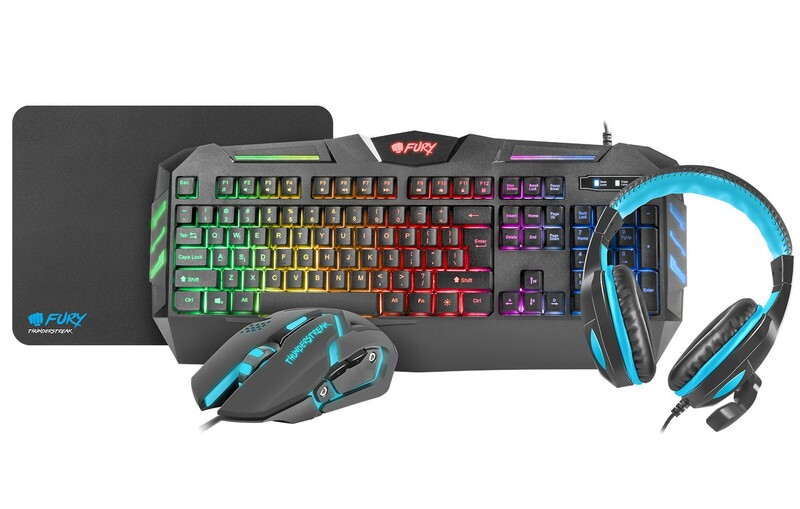 With Thunderstreak, you get a functional and durable membrane keypad with multi-color backlighting. 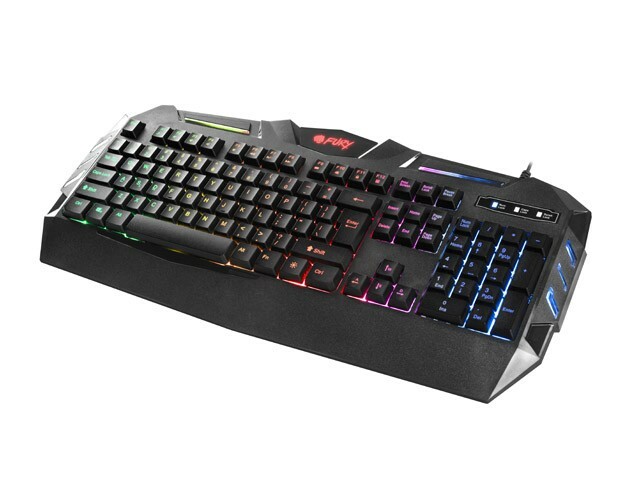 Additional 12 function keys, anti-ghosting for most keys and extended bottom of the frame for wrist support. 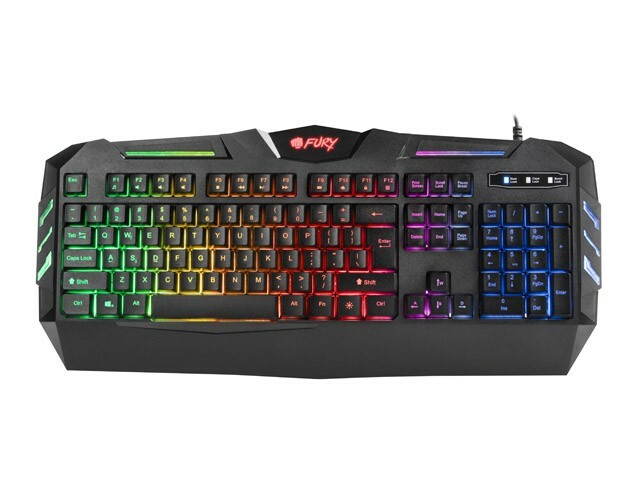 The keyboard has special water drainage holes in case of accidental spillage. 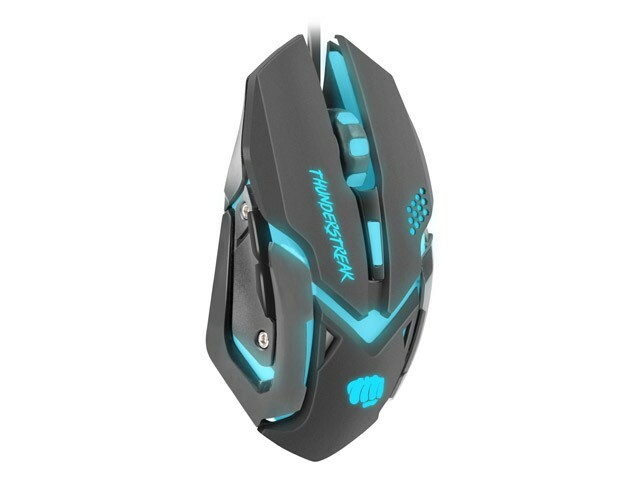 Thunderstreak mouse is a rodent equiped with a precise optical sensor with a maximum resolution of up to 2400 DPI. 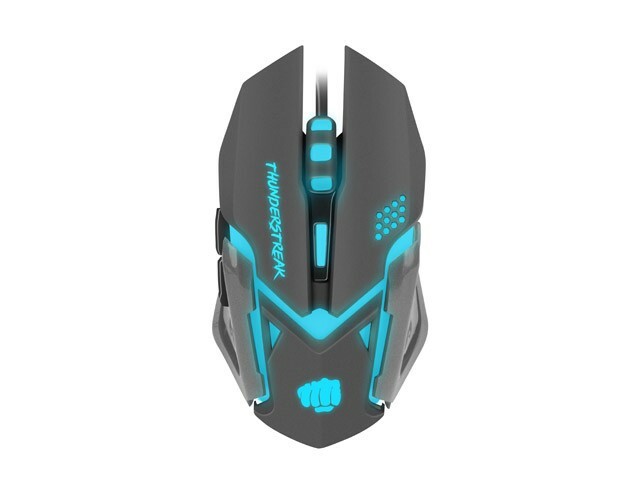 Furthermore, with a special DPI switch on the top of the mouse, you can change DPI level to 4 variants even during the flight. Last but not the least feature is a LED backlight which gives a feel of complete character. 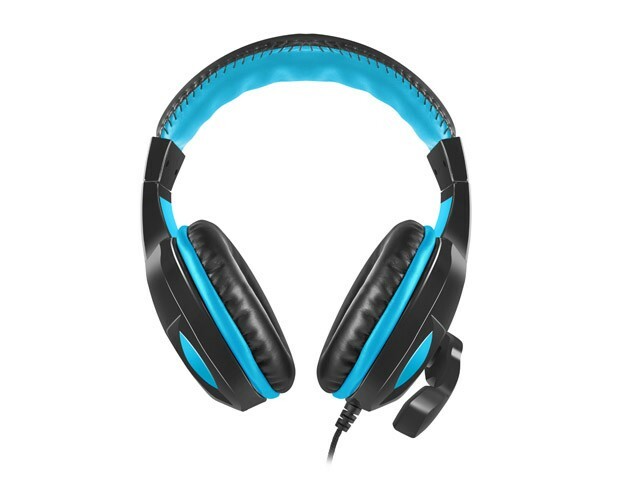 Another component of the Thunderstreak is stereo headphones. 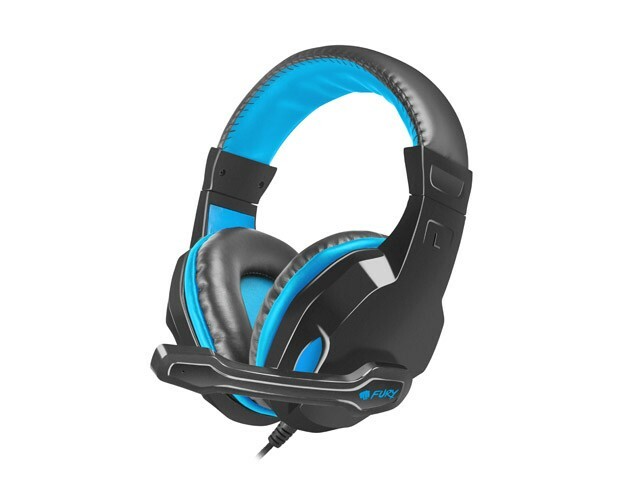 Thanks to parameters such as Speaker Dynamics at 108 dB, Frequency Range 20-20000 Hz at 32 Ohm impedance, the gamer is given the right sound level and the very sensitive microphone on the swing arm makes pleasant communication with allies. 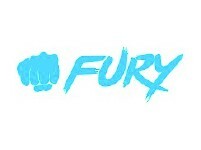 Thanks to the soft and large pads, Fury headphones provides optimum gameplay comfort to the ear. 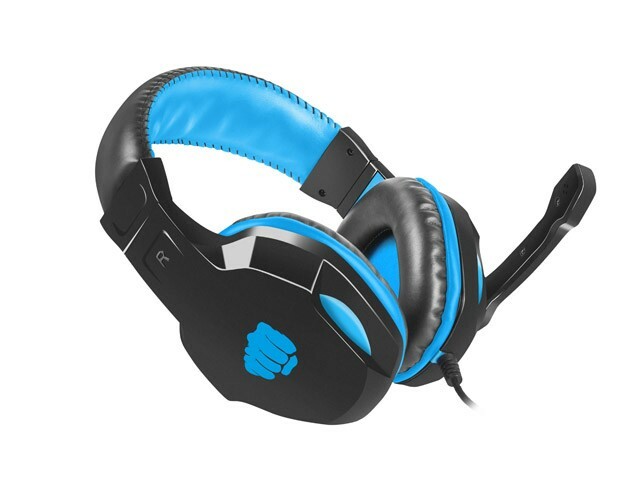 Earmuffs are covered with an eco leather and the ability to adjust the position of the microphone. 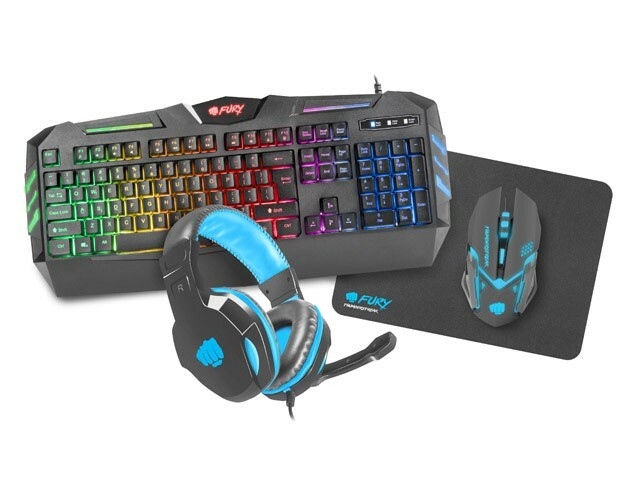 Even the most classy mouse needs a solid mouse pad to work properly. 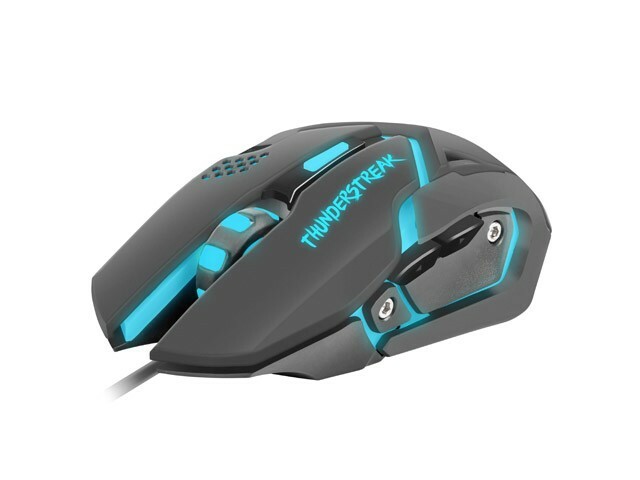 Thunderstreak pad is made of high quality material that reduces friction of the mouse surface and guarantees high precision of tracking it’s movements. 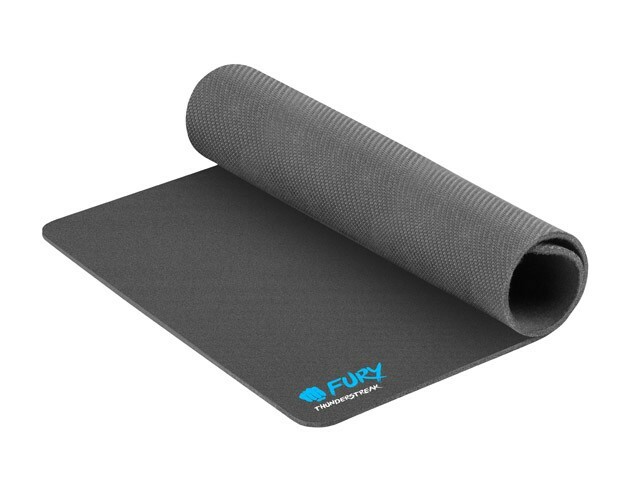 The "speed" layer makes our movements quick and precise, and the rubber backing layer ensures that the pad does not move at the least expected moment. 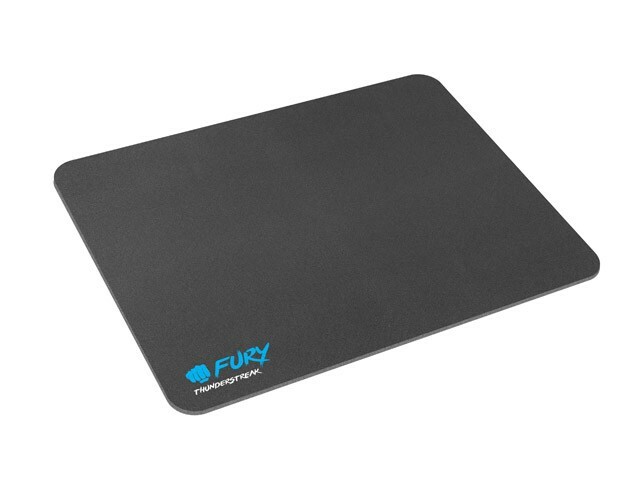 Mouse pad work with any type of sensor.